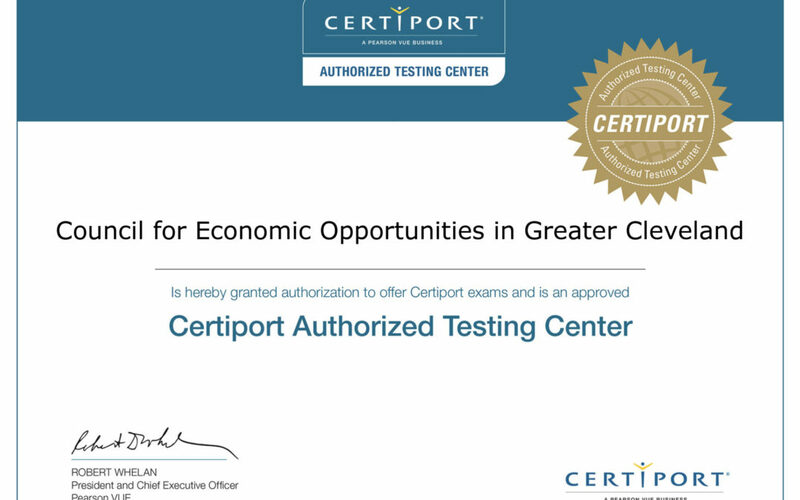 The Council for Economic Opportunities is now an authorized Certiport testing center. The distinction allows CEOGC’s job and career training center to offer Certiport’s exams. Per Certiport’s website: Certiport is the world leader in performance-based certification exams and practice test solutions for academic institutions, workforce and corporate technology markets, delivered through an expansive network of over 14,000 Certiport Authorized Testing Centers worldwide. We look forward to utilizing these exams to provide the best training to the clients we serve every day. Congratulations to our job and career training team for this distinction!